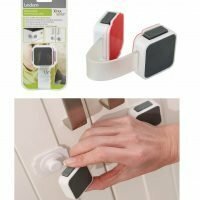 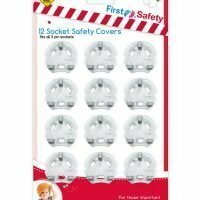 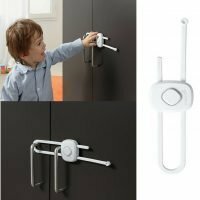 The Secure Cabinet Slide Lock from Safety First has an easy-to-understand indicator that lets you know when this child safety device is correctly locked. 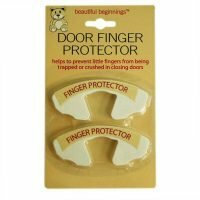 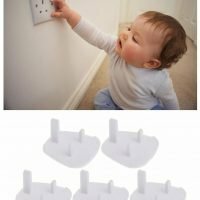 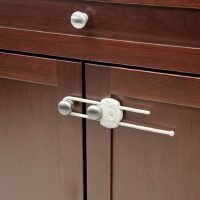 It’s a childproofing solution that’s easy to use, to install, and keeps children safe by preventing them opening cabinet doors. 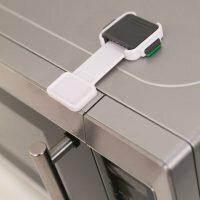 The adjustable sliding system means it fits any kind of cabinet.